Speaking to Computerworld NZ first on Windows 10, Frazer Scott, Marketing & Operations Director, Microsoft NZ explains why the new OS is ready and waiting for Kiwi businesses. They won’t admit it, but in launching Windows 10, Microsoft will desperately seek to undo the disaster of Windows 8. Like a bewildered politician, banished to opposition following a electoral hammering, Redmond returns in 2015 with new hope, new enthusiasm and a new operating system, capable of moving out of the shadow cast by its deeply unpopular predecessor. And while Windows 8 bashing is getting all too easy and all too old, such an iconic failure means that, for want of a better phrase, Microsoft needs to be bang on the money with Windows 10. “There’s a great story to be told through Windows 10,” says Frazer Scott, Marketing & Operations Director, Microsoft New Zealand. Speaking exclusively to Computerworld New Zealand Scott believes that aside from the significant global opportunity Windows 10 brings for Microsoft, closer to home on Kiwi shores, interest in the latest operating system is in the ascendancy. “We believe there is huge potential for Windows 10 in New Zealand and come July 29, we’ll be the first country in the world to launch which always adds an extra level of excitement,” adds Scott, speaking in Microsoft’s first local interview on the topic of Windows 10. The commonly held industry forecast is that within 18 months of launching, Windows 10 will be on over 410 million PCs across the world, based largely on the expectation that more than three-fourths of all PCs running Windows 8 or 8.1 will migrate to Windows 10 sooner rather than later. The end goal for Redmond is to have one billion devices running Windows 10 worldwide within the next 2-3 years, a goal Scott believes is more than achievable, with a little help from New Zealand. “It’s absolutely our aim,” Scott adds. “At present we have two million devices out in the New Zealand market alone which could realistically upgrade to Windows 10 within the next few months. As Scott points out however, it will be devices, not necessarily PCs, which could trigger a surge in Windows 10 uptake. In theory, Windows 10 should be a significant contributor to the PC market, providing an upgrade path from Windows 7 for commercial users and a range of features boosting convenience and integrating the user experience across platforms. That said, the free upgrade offer which Microsoft is providing to select partners technically reduces the need for a new standalone PC, paving the way for tablets, 2-in-1s and smartphones to provide new Windows 10 hardware options. But despite such a forward thinking approach to the new platform, and a genuine acceptance that mass migration will occur, those Kiwi businesses hit hard by Windows 8 may of course think differently. As reported by Computerworld New Zealand in October last year, Windows 10 is a necessary move for Microsoft to fix a growing problem in its a poor Windows 8 product. Yet for Scott, in directly addressing aggrieved Windows 8 and lingering Windows 7 customers, the attraction of Windows 10 is simple. “To our current customers on Windows 7 and Windows 8.1 platforms, Windows 10 brings all the goodness that people expect from the Windows ecosystem,” he explains. “This is across a touch-based or mouse-based environment and it brings together everything people know and love about the operating system to one point. The benefits of Windows 10, according to Microsoft, focus around the re-introduction of the Start Menu, the birth of a new lightweight and powerful browser in Spartan, the emergence of Cortana, the usual multi-tasking and business applications and perhaps crucially, the continuum between laptop, tablet and smartphone mode. And while the virtues of Windows 10 are well documented and argued by Redmond, will it be enough for New Zealand businesses, both large and small, to consider upgrading? As displayed in the Technical Preview, analysts believe the upgrading process for Windows 10 will be relatively smooth for New Zealand organisations, irrespective of size. In offering free upgrades for every PC currently running Windows 7 or Windows 8.1, excluding Enterprise additions, across a year-long period, organisations have been informed that the approximate file size for download is 3 GB per PC, but as widely reported, for most upgrades the actual package will be slightly smaller. Notified by the small icon in the taskbar popping up on July 29 with the message ‘Get Windows 10’, the industry on the whole accepts that Windows 10 migration will, at least in theory, be relatively hassle free. “Every organisation has a different path depending on business and budget priorities and in New Zealand it is no different, we see some on the leading edge and some slightly behind,” adds Scott, when quizzed on whether Microsoft is expecting strong early uptake across the country. “In any industry we see early adopters and those who prefer to wait a little longer. But rest assured, we have a long list of customers in New Zealand on our Proof of Concept list, which is a way to test Windows 10 under real conditions. “We already have this list and it covers large enterprises all the way down to small businesses and for organisations keen to accelerate Windows 10 deployment, we offer the ability for customers to manage rollouts specific to their needs. Windows-as-a-Service has been on the cards for some time, and represents Microsoft’s move away from being a bulky imposing product which feeds on periodic major releases, to a more agile offering that is constantly being updated, and effectively tweaked, in the background. Similar in its approach to Office 365, or even Google’s Chrome or Gmail, Redmond aims to now deliver “new releases when they are ready” as the tech giant explores what could actually be the last version of Windows 10. “Right now we’re releasing Windows 10, and because Windows 10 is the last version of Windows, we’re all still working on Windows 10,” said Jerry Nixon, developer evangelist, Microsoft, when speaking at Microsoft’s Ignite conference last month. But while it appears almost farcical to discuss the shelf life of Windows 10 before its launch date, as Scott puts it, Microsoft is preparing for a long future of Windows innovations, with constant fine-tuning at the heart of this strategy. 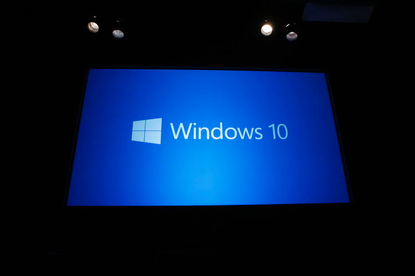 “Windows-as-a-Service offers a big jump from both Windows 7 and 8.1 for organisations,” Scott adds. “We’ve received strong feedback regarding regular updates, security patches and the introduction of new features and benefits. “And perhaps what is most assuring is the growing opportunities in New Zealand across the ecosystem. “Take our Build conference for example. This was attended by around 500 developers in Auckland last Saturday, which is indicative of the growing interest in Windows 10 and a huge vote of confidence from the developer community. “Windows 10 provides cross platform benefits for developers which span across enterprise, smaller sized businesses and consumers. “Also it will help drive greater uptake in the mobile space as Windows 10 provides developers with the ability to build an application and deploy it across all environments. While opportunities appear endless for all aspects of Windows 10 surrounding businesses and developers, one question that the Redmond hierarchy has so far dodged lies around its ability to make serious cash from the launch. Yes Microsoft’s many enterprise deals will require monetary investment to ensure migration, and yes the free upgrade isn’t available to all and is only applicable for a year, but is it enough to ensure Windows 10 doesn’t become a loss leader? “We are in this first year of its life cycle and afterwards we will have a different economic model for Windows 10,” adds Scott, who like Microsoft COO Kevin Turner, remained coy on the issue of revenue. “What’s been really apparent is that if you look at our share price over the past year or two, and the growth it has had, we have continued to grow our top line revenue and profitability. “And this is in a world where Windows has lost share and in a world where we are moving to cloud services that have a higher cost of sales and a lower yield. On July 29 however, the moment of truth will arrive. Businesses and consumers can get Windows 10 for PCs and tablets by either taking advantage of the free upgrade offer, or through new Windows 10 device retailers in New Zealand. The lines are now open for Kiwis to reserve their free upgrade, and with momentum on Microsoft’s side, perhaps Windows 10 can successful eradicate the wrongs of its predecessor.